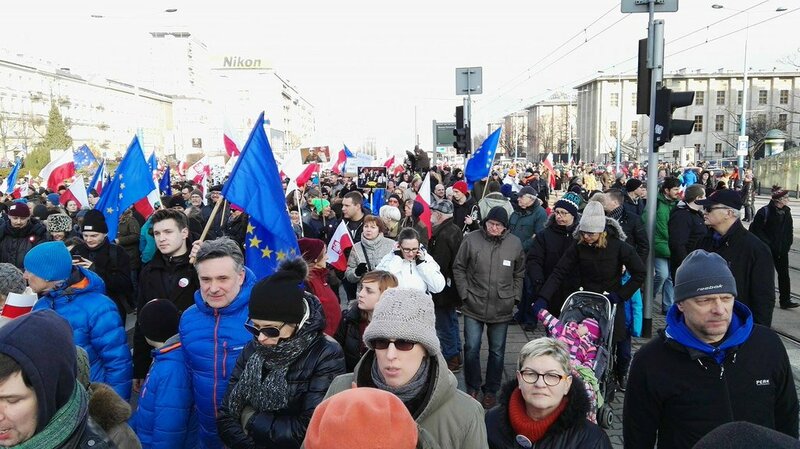 Tens of thousands of Poles took to Facebook Thursday (10 March) to support the country’s top court in a constitutional battle against the right-wing government. The post-Communist member state has been mired in crisis over a government bid to change how its Constitutional Court reaches its decisions, in a move that has sparked outrage at home and abroad, fearful for the health of Polish democracy. A new law raised the bar needed for court rulings from a simple majority to a two-thirds majority of justices, while also requiring 13 judges to be present for the most contentious cases instead of nine as before. But the court itself on Wednesday (9 March) struck down the ruling as unconstitutional, pitting it against the government led by the Law and Justice (PiS) Party, which dismissed its judgement. Poland should recommit to the respect for democracy, human rights, and rule of law, three US senators said in a letter sent to the prime minister, referring to new laws on media and the constitutional court. Nearly 54,000 users shared the constitutional court verdict on a dedicated Facebook site in the 24 hours after it was handed down. The campaign urged Prime Minister Beata Szydlo to publish the verdict in Poland’s Journal of Laws, a move that would render it binding. With public anger growing, an impromptu street protest attracted around a thousand people, including opposition party members, Thursday evening outside the cabinet office in Warsaw. Protesters used a projector to light up the building’s facade with a copy of the Polish constitution. A day earlier they did the same with a copy of the verdict. “A government that ignores court rulings, is quite simply undemocratic. It’s putting itself above the constitution,” Warsaw resident Magdalena Mikula-Mayer, 39, told AFP. Foreign Minister Witold Waszczykowski on Thursday likened the top court’s Chief Justice Andrzej Rzeplinski, a respected jurist who handed down the ruling, to an “Iranian ayatollah”. The government’s refusal to abide by the judgement has set Poland on a collision course with the European Union, which launched an investigation into the reforms in January. Warsaw could now face punitive measures over the situation. Poland also said Thursday it would dispute a draft report by the Venice Commission — a body of legal experts within the Council of Europe — warning that the court reforms put democracy, human rights and the rule of law at risk. The Council is due to publish its official report by Saturday (12 March). 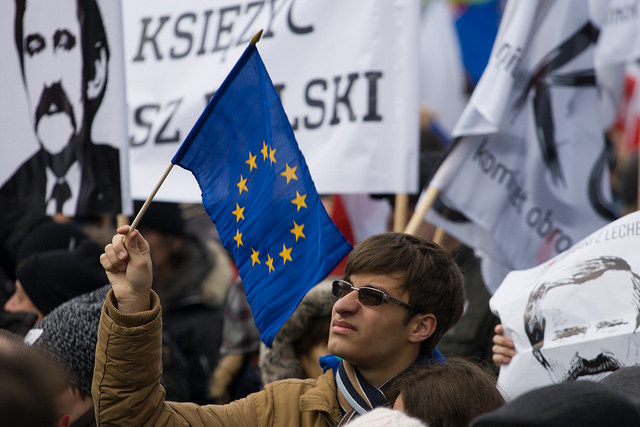 Although the Council of Europe’s findings are not binding, the European Union is likely to review them as part of its own unprecedented probe into the rule of law in Poland. Opposition parties have claimed that the government’s determination to force through the changes risks undermining democracy in the ex-communist nation of 38 million people. “If the government doesn’t abide by the constitutional court’s ruling soon, we’re dealing with the biggest crisis in the history of the republic and a constitutional coup d’etat,” said Ryszard Petru, leader of the liberal Modern opposition party. PiS has “fundamentally violated the constitution. Its contempt for the separation of powers… allows me to say without hesitation that democracy has stopped functioning in Poland,” Radoslaw Markowski, a political scientist linked to Poland’s Academy of Sciences, told AFP. “There is no rule of law. Checks and balances on power are gone,” he added. Some 15,000 people gathered in the Polish city of Gdansk on Sunday (28 February), police said, in a show of support for Solidarity freedom hero Lech Wałęsa as he battles allegations he was a paid secret agent during the Communist period. It is the Civic Platform which in conjunction with the post-communist SLD party cooked up the whole crisis back in June 2015 during the last few months of their 8-year reign. They, in tandem with the Tribunal Court’s Rzeplinski and two other judges, conspired to break the constitutional law and parliamentary procedure by drafting a new law which was later found to be defective by the very Tribunal Court which is now in fact continuing in escalating the crisis. Since then, the post-communist Leszek Miller, former leader of the SLD, has owned up to the legal maneuver shenanigans and apologized for being drawn into the fray by the Civic Platform which offered political gains for the struggling post-communists. It is another fact that the Tribunal Court has 15 judges – and not 12 – who were elected by Parliament, sworn in by the President and admitted into the offices of the Tribunal Court. It is Rzeplinski who selectively – by what authority no one knows – has admitted only 12 to sit in on the current ruling. Of the 15 judges, 10 have been elected by the Civic Platform and the remaining 5 have been elected by the current Law and Justice Party. Two of these judges have been “allowed” by Rzeplinski to sit on the current case and have offered their conflicting, minority opinion. The minority opinion states precisely that the Tribunal Court must sit in full session of minimum 13 of 15 judges for the ruling to be lawful. This is related directly to the constitution which clearly states in Article 197 that ‘the organization of the Tribunal Court, as well as the mode of proceedings before it, shall be specified by statute’. And, statutes under the constitution are enacted by Parliament. Therefore, it is the Tribunal Court itself which under Rzeplinski has put itself above the law and is playing political games, stoking an already tense political situation for the explicit benefit of the obstructionist opposition which has clearly declared ‘total war’ – in their own words – on the conservative government in Poland relying on the active help of its leftist friends in Brussels. It is precisely because the obstructionist opposition (The Civic Platform and Nowoczesna) – otherwise referred to as modern-day Targowica – which are hell bent on getting back in power by whatever means they deem necessary and, therefore, have no intention of reaching any compromise on the political crisis. Compromises have been offered by Kukiz15 Party as well as the Law and Justice Party and these have been rejected outright by the Targowica group. Hopefully, tensions don’t move beyond the political agenda. If they do, it will be the Civic Platform and its clone, Nowoczesna which will have to answer to the judgement of History. The reference to ‘ayatollah’ was made specifically to Rzeplinski, the chief judge of the Tribunal Court. 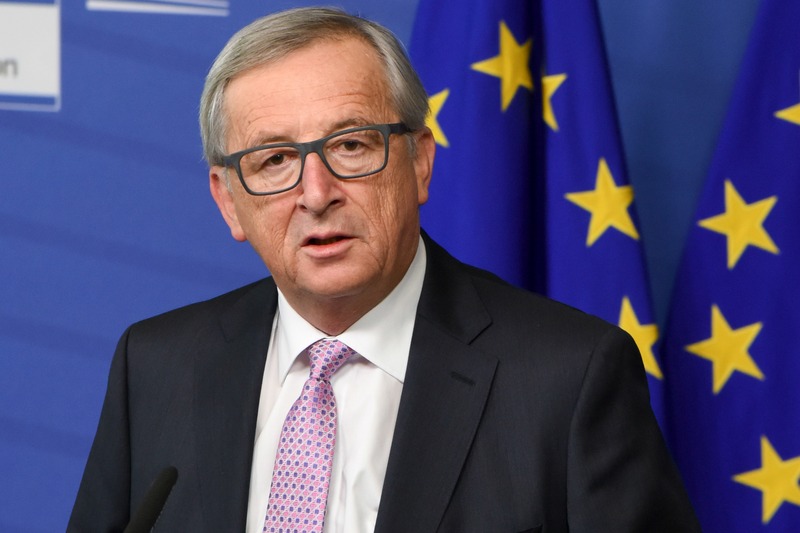 He is the one who played a key – political, emphasis on the word political – role in drafting the June 2015 legislation together with the Civic Platform which is the cause of the current constitutional crisis. Should a judge create his own law on which he passes judgement? I suppose this “minor detail” doesn’t faze the Venice Commission at all. Should a judge selectively choose which statutes he deems fit his opinion and disregard those that are in direct conflict with his opinion? That is precisely what just happened in the case of the 300+page ruling which was released the same day as the session of the 12 judges. In fact, 15 of the available 15 tribunal judges were required to chair the meeting – by statute. Funny, that this same “ruling” was circulating within the Civic Platform leadership 2 weeks prior to the “ruling” and leaked to the internet the day prior – verbatim. Again, this “minor detail” should not faze the Venice Commission or the Euro-Commissars. Should a judge spend his time on the talk show circuit to announce and preview his judgments for the day ahead? Again, this “minor detail” of judicial misbehavior should not faze either the Venice Commission or the Euro-Commissars. Rzeplinski placed himself above the law. If it quacks like a duck, walks like a duck, and looks like a duck – it’s a duck. Or, more precisely – an “ayatollah”. The Venice Commission first totally discredited itself by leaking their biased draft opinion to the mouthpiece of the Civic Platform – Gazeta Wyborcza. Now – at least – they have admitted that the previous government broke the constitution. And, they see the problem as too many elected judges to the Tribunal Court. Elected is one issue, but it still does not change the fact that the full roster 15 are fully elected, sworn in and accepted into the Court’s offices. The “excess 3” have not been sworn in nor have they been accepted into the Court. The compromises put forward by the Kukiz15 and the ruling Law and Justice Party have already been rejected by the disruptive opposition – The Civic Platform and Nowoczesna – declaring, in their own words – ‘total war’ on the democratically government. In reviewing the Venice Commission statement, it is glaringly obvious that they have not even read the source document – Poland’s constitution. Article 197 plain as day states that: ‘the organization of the Tribunal Court, as well as the mode of proceedings before it, shall be specified by statute’. The Venice Commission must truly believe that the Tribunal Court must write its own statutes, as clearly the new “King of Poland” – “Trybunal Rzeplinski I” has done in June 2015 together with the Civic Platform which is now fomenting to topple the democratically elected government of Poland. Various compromises are on the table. 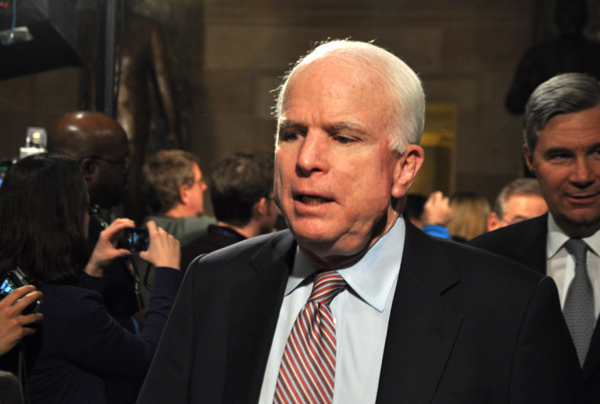 Will the obstructionist opposition come to the compromise table? It is doubtful. All they want is their previous full control of the government and its institutions with the corresponding comfy incomes and on-going corruptions. And, they are hell bent of fomenting disorder to topple the government, including bloodshed as spelled out by one known as Jerzy Stepien. However, hopefully the modern-day Targowica comes to its senses and steps back from the brink.